The next move toward ratifying Canada's trade deal with the European Union is set for early next week, when Immigration Minister John McCallum is expected in Brussels to resolve Canada's long-standing visa dispute with Romania and Bulgaria. With an October signing date now set for the Comprehensive Economic Trade Agreement (CETA), Canada must act — or risk a veto by countries who don't appreciate their nationals being treated as second-class EU citizens. In April, Canada and the United States were given an additional three months to comply with the EU's policy of visa reciprocity: countries whose citizens don't need EU visas must, in return, allow visa-free travel for all EU nationals. Canada currently requires visas for nationals from Romania and Bulgaria, while the U.S. requires visas for citizens from five EU member states. The European Commission is set to meet July 13 to consider whether to follow through and impose reciprocal visas on Canadians and Americans. 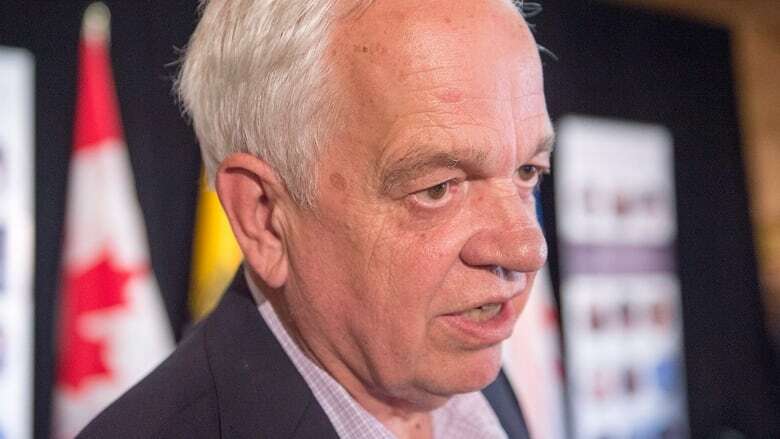 McCallum's office confirms he'll be in Brussels July 10 to 12 for meetings to support the adoption of CETA and "reiterate Canada's position in regard to the visa reciprocity mechanism." However, "no events or announcements are planned during this trip," spokesman Félix Corriveau told CBC News. It's unclear if the EU will make good on the threat, given the potential economic consequences. Offending political allies in North America may not be wise while Europe is already grappling with the United Kingdom's now-anticipated exit. But even if Canadians won't need a visa to visit Paris, the risk to Canada's trade deal is real. The European Commission's decision Tuesday to propose CETA as a "mixed" agreement jurisdictionally means the European Council must act by consensus to approve the trade deal for ratification. If one or two countries refuse to sign on, they can effectively veto the deal. That would mean Canada's formal signing in October could be off — or at least delayed. Romania has not been shy about linking its support for CETA with Canada's willingness to lift the visa requirement. International Trade Minister Chrystia Freeland has expressed confidence the visa issue will be resolved to make sure that doesn't happen. Sorin Moisa, a member of the European Parliament (MEP) representing Romania, told CBC News Tuesday that if the solution isn't announced next week, it should come "at the latest" in September. "Otherwise we have a major problem." Moisa has been speaking regularly with Canada's ambassador, ministers and officials. He said he's been told the recent visit by Canadian officials to confirm technical details went very well and negotiations to lift restrictions have begun. "They have no major issues whatsoever," he said. He's a keen supporter of CETA, lobbying hard for it in the European Parliament until April, when he felt forced to resign as his party's rapporteur over Canada's inaction on visas. "Against the backdrop of [last week's] Mexican visa waiver, this has become absolutely a moral imperative, an absolute precondition for the Romanians to sign CETA," he said. Romania's case for having its visa rules lifted is even stronger than Mexico's, he believes. The security risks aren't comparable. Plus, as EU citizens, Romanians can already move freely across the continent, so why fear a wave of economic migrants or asylum seekers to Canada? The CETA veto threat isn't just "big words," Moisa said. "There's no way the Romanians could accept being treated as secondary EU nationals." 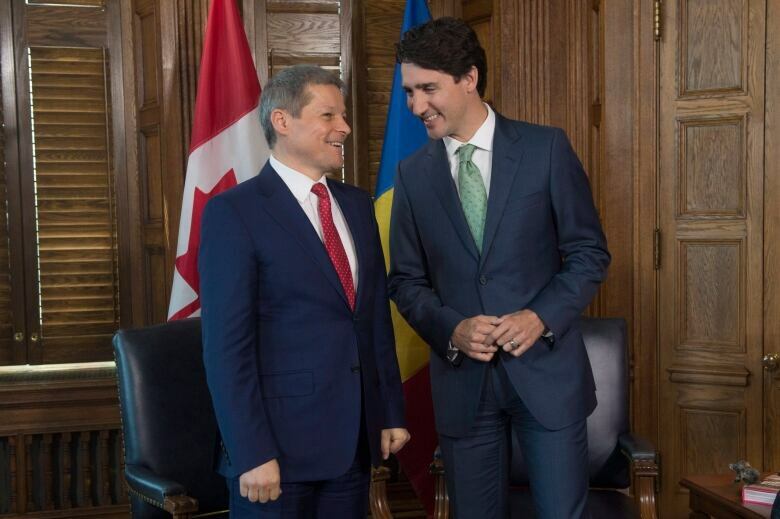 Romania's prime minister, Dacian Ciolos, was in Ottawa on June 15 and discussed the visa issue with Prime Minister Justin Trudeau for a half-hour. 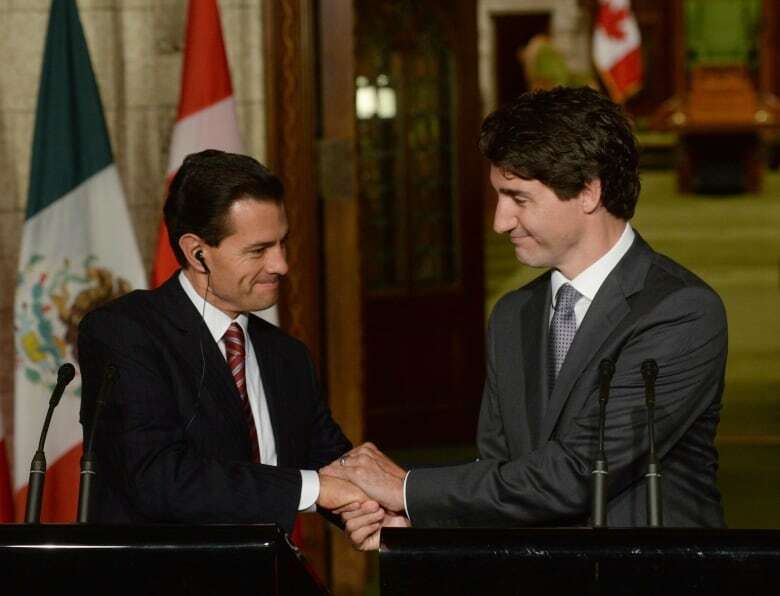 The pair had good chemistry, CBC News was told, with Trudeau accepting the "obvious political reality" of the linkage between the visa and trade issues. In a statement, Conservative immigration critic Michelle Rempel criticized the Liberal government for treating visa-free entry as a "bargaining chip in a deal." "Now that the Liberals said they would lift the visa requirement for Mexico, based exclusively on a political decision, other countries that don't meet the criteria are lining up for the same special treatment," she said, advocating instead for an objective, evidence-based system based on security and immigration indicators. In a briefing offered to journalists Wednesday, a senior government official said that there is a "process of engagement" underway "in good faith" to determine whether or not to lift the visas, but "those decisions are made on the basis of our policy... they're not going to be made on the basis of whether or not there's going to be support for a trade agreement." Canada committed to working towards visa-free travel in its strategic partnership agreement with the EU. However, "our visa policy needs to be kept separate from our efforts to gain support for a trade agreement," he said. Beyond preventing a veto, lifting visa rules could help ratify CETA another way. Until he resigned, Moisa was the CETA rapporteur for the Socialist MEPs in Brussels, a sometimes trade-skeptical bloc perceived as crucial swing voters in the upcoming European Parliament ratification. The MEP who replaced him as advocate was British. His influence on other MEPs may be limited after the Brexit vote. If Moisa feels unable to resume his role, there's a risk that the next Socialist CETA rapporteur might oppose the deal. "This will be the mother of all fights," Moisa said. "Especially post-Brexit, you have a bit of continentalization of European politics," he said. "The pro-trade, pro-Atlanticist camp in Europe is significantly weaker without the U.K."
The European Commission made the right call Tuesday in opting for a mixed agreement, he said. "If Brexit tells us anything, it's that there shouldn't be any perceived power-grabbing … so the Commission was wise, unexpectedly wise, to say this is a moment when we do not want to appear to be taking anything away from member states," he said. Now MEPs can vote knowing individual countries also get their say. If the EU claimed jurisdiction, "it would have been seen by some of my colleagues as defying the people," he said. Life after Brexit: What happens to Canada's trade deal with Europe?